As the company continues to make progress at its flagship rare earths project, it is also getting prepped for summer exploration through fresh funding. Northern Minerals (ASX:NTU) continues to make progress on its Browns Range pilot plant project, with its most recent milestone being the near completion of the commissioning stage. The company has commissioned its crushing circuit, which is now being used for operator training and the collection of crushed ore samples. Meanwhile, in the project’s beneficiation plant, commissioning activities have kicked off, including the plant control room, magnetic separation, flotation and tailings. 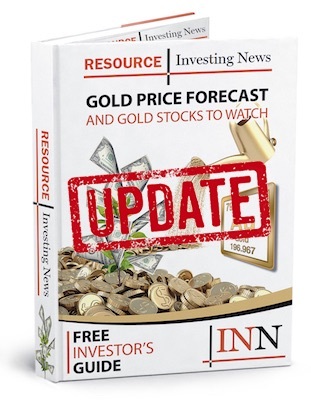 Additionally, Northern Minerals says it has devised an exploration strategy for Browns Range. Set to begin in July, the efforts have been successfully funded by the Western Australian government through its Exploration Incentive Scheme program. The government funding, which totaled AU$215,000, will be divided between drilling at the company’s John Galt project and drilling at the Dazzler and Iceman prospects at Browns Range. The projects will receive AU$150,000 and AU$65,000, respectively. Browns Range is now in the first stage of a three-stage development plan, which entails the ongoing construction of its pilot plant, along with de-risking the operation by testing the process. The pilot plant project, set to be three years long, will see first production of heavy rare earth carbonate in Q3 2018. The pilot plant is expected produce 60,000 tonnes per year, with processing via a beneficiation and hydrometallurgical pilot plant putting out an annual 49,000 kilograms of dysprosium in 590,000 kilograms of total rare earth oxide. Stages two and three will involve producing a bankable feasibility study for the project, and then building it to full-scale production. At this point Browns Range is seen producing 585,000 tonnes per year for 279,000 kilograms of dysprosium contained within 3,098,000 kilograms of total rare earth oxide. “As commissioning is completed and we move to production in the September quarter, we are also excited about the upside potential that the renewed exploration push will have on securing Browns Range as a long-life operation,” Managing Director and CEO George Bauk said in a statement. At Browns Range, Northern Minerals is aiming to be “the first significant dysprosium producer outside of China.” Ore reserves for the project currently sit at 3.8 million tonnes of ore containing 2,294,000 kilograms of dysprosium and 26,375,000 kilograms of total rare earth oxide. Northern Minerals’ share price was changing hands at AU$0.094 at close of day on Wednesday (June 13). The company has risen 10.59 percent since the start of the year. Interesting that your last article on the emerging battery metals made no mention of the importance of REEs at all re., metals crucial in the quickly expanding green environment; especially EVS?